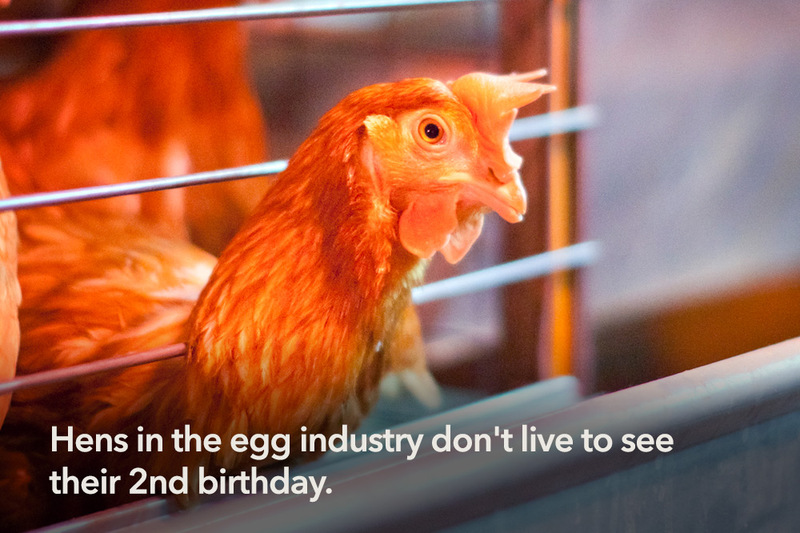 5 things the egg industry doesn’t tell you ! The Egg Corporations are being taken to court by the authorities for allegedly encouraging egg producers to slaughter millions of hens and even bury their eggs, to artificially keep egg prices high. 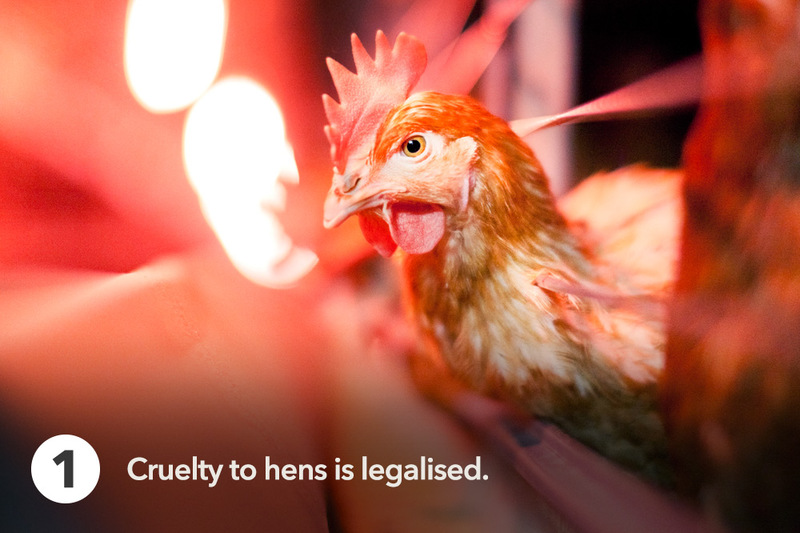 Hens can naturally live up to 10 years, but in this commercially-driven industry their lives cease to have value the day they can’t turn a profit. So from as young as 18 months, when their egg production slows, hens in all commercial egg systems are packed into crates and trucked to slaughter. Over the last half a century, most egg production has transformed from small family farming into an industrialised system, run by large corporations. 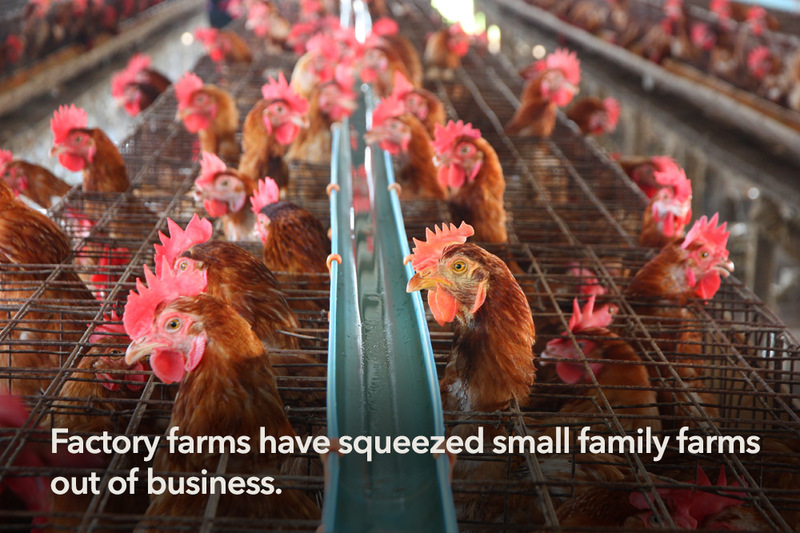 Animals are seen as production units, to be crammed into smaller and smaller spaces, so fewer staff can oversee more animals. 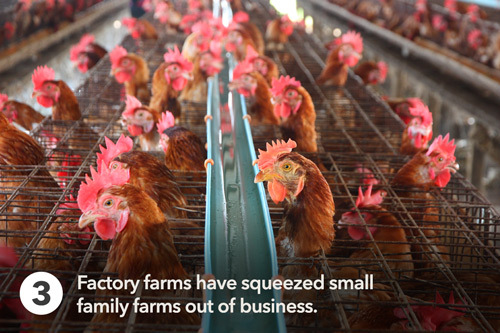 For hens this means lives of misery, for rural communities this means fewer jobs and profits funnelled into large corporations rather than farming communities. 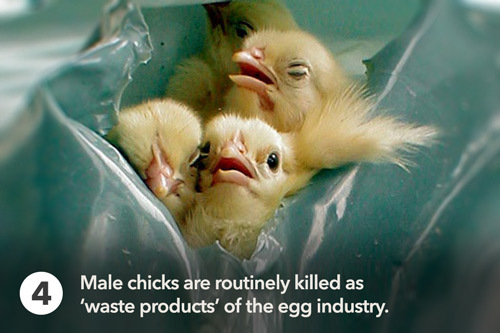 Male chicks can’t produce eggs, so they have no value to the egg industry. On their first day of life at hatcheries, they are dropped into grinders or gassed to death. 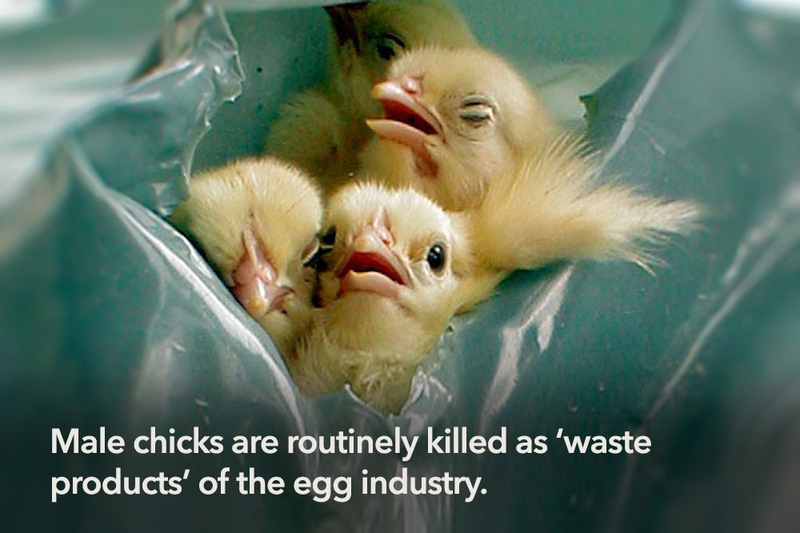 Sadly, this happens across the whole egg industry. At every meal, you have the chance to make life-changing choices for hens. By refusing to buy cage eggs you can help free hens from cages. 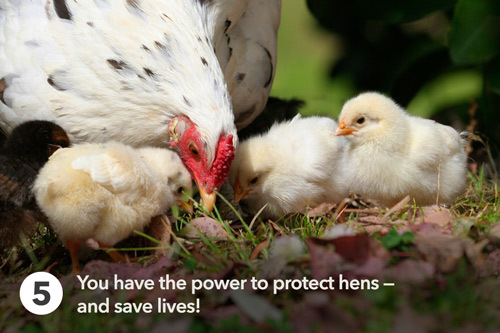 You can even join the growing number of people discovering delicious egg-free alternatives, and know that you’ll be saving the lives of hens and chicks at every meal.